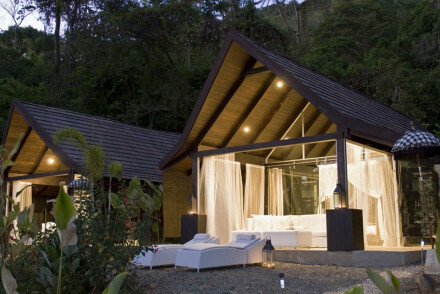 A boutique collection of Balinese-style villas in the Costa Rican jungle overlooking the Pacific. Smart villas feature mosquito framed four-poster beds, plenty of glass and luxury bathrooms. 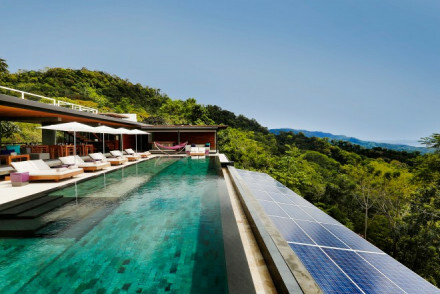 An infinity pool boasts epic views and the spa is utterly spoiling. Adult-only and undeniably romantic. Active Holiday - Between the jungle and the sea there's a vast array of activities to get involved in. Back to Nature - Just in the surrounding area toucans, sloths, and howler monkeys are all common. Surfing - A well known area for surfing. Classes and rentals are available from a nearby surf shop. Sailing - Spend an unforgettable day searching for whales and dolphins. 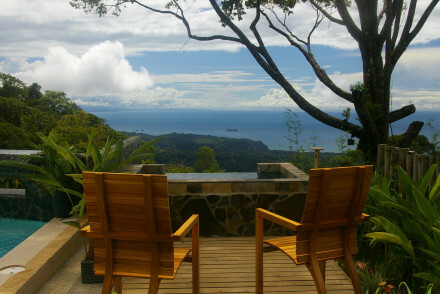 An adult-only haven set overlooking the fabled Whale's Tail and jungle canopy. Spacious suites and villas are contemporary in style; think plenty of glass and indulgent bathrooms. Beyond the hotel's alluring tranquility find an endless array of activities. The perfect romantic getaway. Back to Nature - A wildlife lovers haven with monkeys, sloths, jaguarundis, anteaters, parakeets and even whales all commonplace. Honeymoons - An exclusive adult-only hideaway with just five suites and five villas. Sailing - For memorable days out take a boat to spot whales and dolphins. Birdwatching - Take a guided tour through the hotel's own sanctuary.